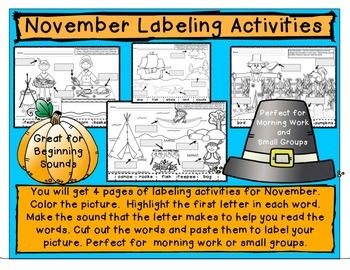 4 pages of labeling activities for November. Color the picture. Highlight the first letter in each word. 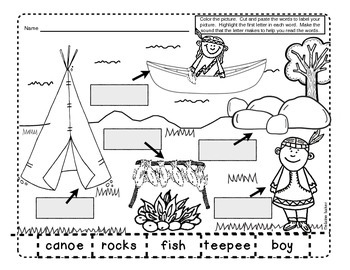 Make the sound that the letter makes to help you read the words. 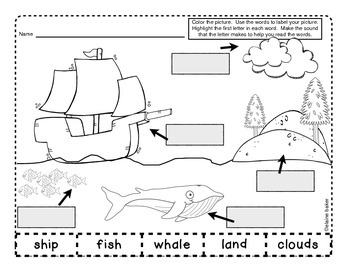 Cut out the words and paste them to label your picture. Perfect for morning work or small groups.